New Delhi: Delhiites woke up to a thick blanket of smog this morning amid warnings by weather officials of falling air quality in the national capital two days before Diwali.Within 24 hours of relief from pollution, Delhi in deep trouble once again. All the stations measuring Air Quality Index (AQI) in "SEVERE" category and Diwali is still two days away. The air quality index at Anand Vihar was recorded at 912 at 10 am on Monday. (Anything above 300 falls in the "hazardous" category). The AQI at ITI Shahdra meanwhile was recorded at 879 and in South Delhi’s Jawaharlal Nehru Stadium at 604. 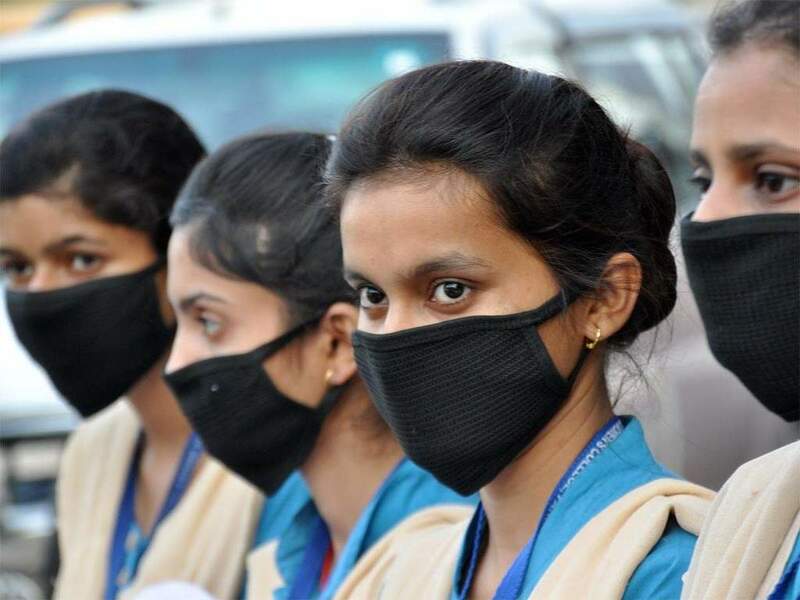 The dip in air quality had been foretold by Delhi officials. Visibility on the roads was low this morning, as against Sunday when air quality significantly improved due to increased wind speed and control measures implemented by the government. Smog kills more than one million Indians every year and Delhi has the worst air of any major city on the planet, the World Health Organisation says.